Meal Plan is indicated at the bottom of your daily itinerary: 15 Continental Breakfasts (2 additional Breakfasts for passengers staying at London Hotel on Day 1 and Day 17), 14 Vegetarian Lunches (Hot / Packed) (1 additional Lunch on Day 16 for Paris City Tour passengers) and 15 Indian Dinners (1 additional Dinner for passengers staying at London Hotel on Day 1). This morning, at the check-in point, you will meet your Tour Manager and join the coach for a leisurely drive from London to Folkestone or Dover, for the short channel crossing to Calais by Eurotunnel Le Shuttle or Ferry. On arrival, we proceed to Brussels, the capital of Belgium and the seat of several European Union institutions including the European Commission and Parliament. Here we visit the Grand Place and see the MannekinPis statue and the Atomium (photo stop). We then visit Mini- Europe, a miniature park where you can see models of famous monuments from European cities like Brussels, London, Paris, Venice, etc., built to a scale of 1:25. Later we drive to our hotel and check-in for a two-night stay. Today, we visit a working windmill village - ZaanseSchans (or Keukenhof Gardens for arrivals in Holland between March 23rd and May 21st). ZaanseSchans, the open air museum, with its characteristic green wooden houses, warehouses and historic windmills gives the feeling of having stepped back in time. We also visit a cheese and clog making farm. You can sample local made cheeses and learn how the famous wooden clogs are made, Later, we drive north through the flat landscape of Holland passing windmills from a bygone era to visit the picturesque fishing village of Volendam, where you have some free time. We then proceed to the cosmopolitan city of Amsterdam for a canal cruise through the city‟s complex system of waterways. Today we proceed east across The Netherlands and into Germany. Joining the autobahn, we arrive at the famous city of Cologne where you can marvel Europe‟s largest Gothic twin spire cathedral. Continuing our drive into the Rhine valley we board a cruise ship for an unforgettable trip along the River Rhine. Admire the majestic views, mountain top fairy tale castles and fortresses from a bygone era. Late evening check into our hotel for an overnight stop. Today, we depart after breakfast. Joining the autobahn we enter the enchanting Black Forest region, where you will marvel at the timeless serenity and unparalleled scenery around you. We visit a Cuckoo Clock outlet where you have time to shop for cuckoo clocks and other souvenirs. Continuing our drive, we pass through small idyllic villages before crossing the Swiss border. Our first stop in Switzerland is to visit the majestic Rhine Falls. We then proceed to the financial capital of Switzerland, Zurich for a short panoramic tour. Later we check-in at our hotel for a two-night stay. Today, we first drive to Lauterbrunnen (or GrindelwaldGrund), where we board the train for the scenic journey to Jungfraujoch – Top of Europe, the highest railway station in Europe at 3,454 metres (weather permitting). Visit the Ice Palace with ice sculptures or enjoy the panoramic views from the Sphinx Terrace. In the afternoon we begin our descent to the picturesque town of Interlaken, the scene of many “Bollywood” films, where you have some time to browse through the shops. After dinner, we return to our hotel. This morning we depart for the Principality of Liechtenstein, where you have some free time in the capital, Vaduz. Later we continue our drive to Wattens in Austria, where we visit the famous Swarovski Crystal Worlds, for a tour through the kaleidoscope of senses and to see sparkling crystal artworks by famous artists. Visit the Crystal Worlds Shop displaying a unique selection of Swarovski products. We then proceed to Innsbruck, the capital of the Tyrol region. Enjoy this charming town of green domes and red roofs - see the Hofburg and the GoldenesDachl. Late evening we check into our hotel for an overnight stay. Today we depart for Florence. Watch the amazing scenery change as we cross the Appennines and the gentle hilly countryside of Tuscany to reach Florence. On arrival in the city of the Medicis, we will visit Piazzale Michelangelo to enjoy one of the best views of this renaissance city across the River Arno. You then have some free time to wander around this city, where traffic is banned from the historic centre, admiring its timeless beauty. Later we continue our journey to the „Eternal City‟, where we check into our hotel for a two-night stay. This morning, we meet our local guide and proceed to the Vatican City, where we will visit St. Peter‟s Basilica and Square, a renaissance masterpiece. Later we take in the ancient sights of Rome - Piazza Venezia, the Roman Forum, which was the political centre of the Roman Empire, Colosseum (photo stop), Arch of Constantine, Circus Maximus, and the spectacular Trevi Fountain, where you may make a wish. In the evening we depart from Rome and drive to our overnight stop - check-in at our hotel on arrival. Today we depart for Pisa, where we visit the Field of Miracles. Here you can marvel at the marble Cathedral in the Pisan Romanesque style, the Baptistery, and one of the wonders of the world, the legendary Leaning Tower. Later, we depart for Switzerland. On arrival at our hotel, we check-in for a three-night stay. the first and only suspension bridge to connect two mountain peaks (all activities are weather permitting). After lunch, we begin our descent to Gstaad, where we take the GoldenPass Line, one of the most beautiful and scenic railway routes in Switzerland to Montreux, where you have some free time for photos at the lakeside. Late evening we return to our hotel. This morning, we first drive to Broc to visit MaisonCailler, where all your senses can be immersed in the wonderful world of Cailler chocolate. We then proceed to the capital of Switzerland, Bern, whose quaint Old Town is a UNESCO World Cultural Heritage Site since 1983. On our walking tour we will visit the Bern BearPark where you may see the brown bears, to whom as per a legend, the city owes its name. Later, we see the Cathedral of Bern, the 'Zeitglockenturm' or the Clock Tower with its ornate astronomical clock and some of the fountains, dating from the Middle Ages, whose colourful figures and columns brighten up the city streets. Later we drive to town of Vevey, one of the “Pearls of the Swiss Riviera”, where we stop at the lakeside. Here you can take a photo of Vevey's most famous inhabitant, Charlie Chaplin, who spent the last twenty five years of his life here. Late evening we return to our hotel. (weather permitting). 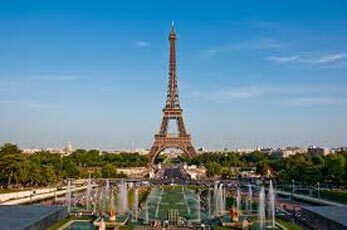 We then continue onto Paris, one of the most exciting and popular cities of Europe, renowned for its fashion, perfumes, and of course the most talked about French champagne and wines. 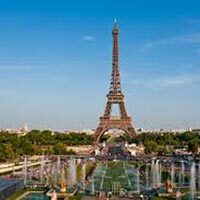 On arrival in Paris, enjoy an amazing cruise (*) on the River Seine - admire the spectacular facades from your covered boat. Versailles, the former residence of the famous “Sun King”. This afternoon on our orientation tour of Paris, we will be introduced to the main sights (outside view) of this beautiful city: Hôtel des Invalides, Place de la Concorde, Opéra National de Paris, the Louvre Museum and Arc de Triomphe. Later, enjoy some free time at the Avenue des Champs-Élysées, the beautiful boulevard known for its cinemas, cafés, and luxury shops (duration is time permitting). After dinner you may either rest in your hotel or join the additional excursion - Evening in Paris Tour. On our tour we will see the main sights illuminated. Later, why not join us for an exciting optional Lido Paris Cabaret Show. Note: Glacier 3000 will remain closed from 9th to 27th October, 2017 for maintenance.